1 Combine all ingredients except baguette in small bowl. 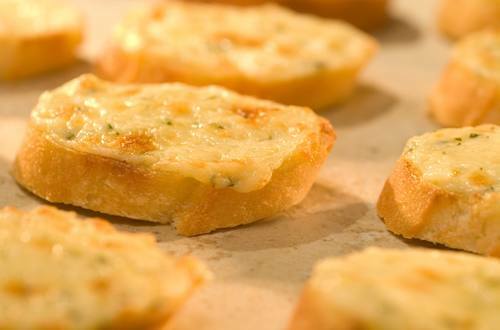 2 Arrange baguette slices in a single layer on baking sheet; spread cheese mixture on baguette. Broil until the cheese is melted and golden, about 3 minutes. Also terrific with Hellmann's or Best Food Light Mayonnaise. TIP:  Cheese mixture can be made up to 1 day ahead. Combine as above and refrigerate covered until ready to use.